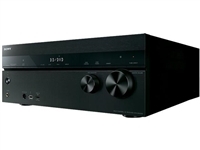 The VSX-LX301 is compatible with 5.2.1ch and 5.2.2ch configuration of the latest theater sound platform, Dolby Atmos. You can reproduce object-oriented sound in smooth, curving movements, or the realistic three-dimensional movement overhead by the top speakers. Aventage performance. Our premium AVENTAGE line begins with this 7.2Channel AV receiver, packed with Dolby Atmos and DTS: x, zone b, phono input, WiFi, YPAO and much more. Amazing sound from any source. Enjoy superior sound while easily steaming music with built-in Wi-Fi, Bluetooth & AirPlay. With 7.2 channels & 165 watts of power, driven by the largest capacitors and transformer in its class, it's legendary Sony sound that really connects. 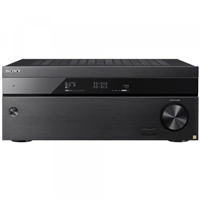 Featuring 4K resolution pass-through and upscaling, high-res audio compatibility, 10 HD inputs and support for 2 separate powered zones, this receiver is the ultimate high resolution sound stage for your music, Blu-ray movies, games and more. control with Amazon Alexa voice commands. Engineered for performance. 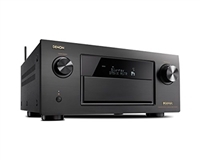 This 7.2Channel AV receiver is about performance with dual HDMI outputs, Dolby Atmos and DTS: x, zone 2, phono input, WiFi, YPAO with rsc and much more. The TX RZ630 bumps up to 9 channels and adds fully immersive DTS:X or Dolby Atmos object-based surround sound to stunning HDR video on your compatible display. The amp's blistering dynamics, high current, and nuanced voicing gets more from music, be it a vinyl record, or mix of sources playing around the house. 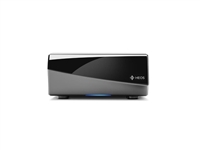 Includes HDMI 4K Ultra HD and 3D pass-through technologies for compatibility with 3D TVs, Blu-ray players and gaming consoles and 4K Ultra HD TVs. Zone will receive 5.1-channels of power Versatile functionality. 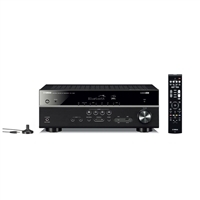 Packed with functionality, this 7.2Channel AV receiver offers seven HDMI inputs, dualhdmi outputs, Dolby Atmos and DTS: x, zone 2, phono input, WiFi, YPAO with precision EQ and much more. jaw-dropping spectacle of Ultra HD HDR video as it unfolds on screen. an incredible Audio/Video experience that you won't easily forget. 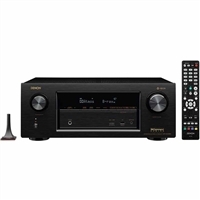 The Onkyo TX-RZ830 creates room-filling, high quality sound to your room with 120 Watts of power per channel at 8 Ohms. AccuEQ Advance sound calibration gives you the ability to adjust the sound to your room's specific acoustics. Listen to music wirelessly with built-in Bluetooth connectivity while built-in Wi-fi connectivity gives you access to music streaming services such as Spotify, TIDAL, and more. 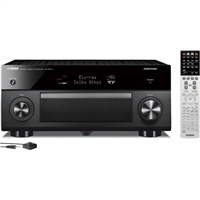 Home Theater System with Dolby ATMOS and DTS:X This 7.2-channel AVENTAGE network AV receiver features Dolby Atmos and DTS:X" for surround sound realism. With the latest in HDMI technologies, experience movies in stunning 4K Ultra HD and high dynamic range (HDR). 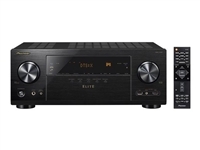 In addition, Dolby Vision" and Hybrid Log-Gamma compatibility provide incredible contrast, smooth tone and rich, bright colors The Elite SC-95 receiver achieves great realism, thanks to Dolby Atmos surround sound driven by powerful Class D3 amplification. The Elite SC-95 provides studio-grade room calibration with MCACC Pro. Along with advanced multi-zone features and effortless connectivity, it offers advanced video scaling with 4K Ultra HD pass-through with HDCP 2.2, and much more. another Bluetooth device such as a pair of headphones. It has nine channels, expandable to 11, to fill the room with surround sound, and it upscales video to 4K HD to deliver the best picture. 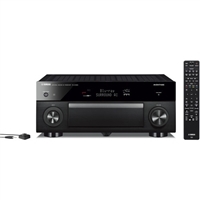 The Wi-Fi capability of this Yamaha A/V receiver lets you access your favorite streaming services. 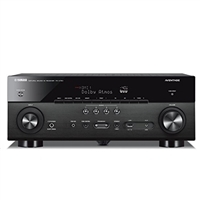 Complete your sound system with this 9.2-channel Yamaha A/V receiver. It produces up to 220W per channel to deliver dynamic surround sound, and its specially engineered feet provide stability to minimize vibration. 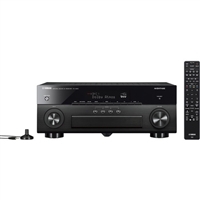 This Yamaha A/V receiver connects to your home wireless network via built-in Bluetooth, letting you stream music from wireless devices. 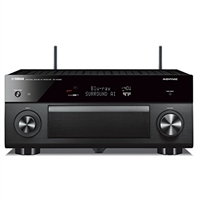 Add an external power amplifier (pre–main amplifier) to this AV receiver to improve and enhance the sound of your speakers. It also supports HDR (high dynamic range) video including Dolby Vision and Hybrid Log–Gamma. This item is Brand New Factory Sealed and comes supplied with all manufacturer supplied accessories.